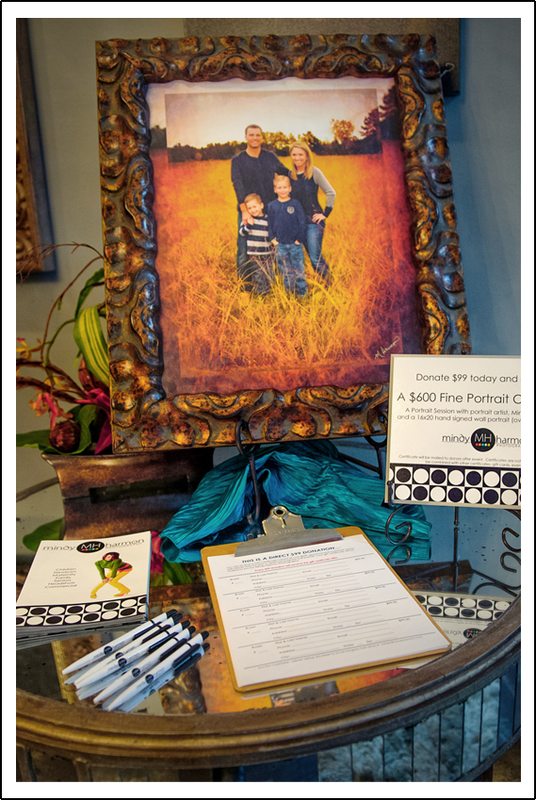 While creating fabulous artistic portraits for your home, we have centered our portrait studio around supporting and giving back to our great community. From hosting charitable events at our studio, to providing silent auction donations, to creating event specific fundraisers themed to your gala….our priority is to utilize our talents to support the philanthropic community. Are you involved with a local Texas charity or an organization seeking donations? We love to give back to our community and support non-profit organizations. Our goal this year is to help raise over $200,000 for Texas Charities! Ask us how we can help your organization!!! Call 281-296-2067 or email us at info@mindyharmon.com.